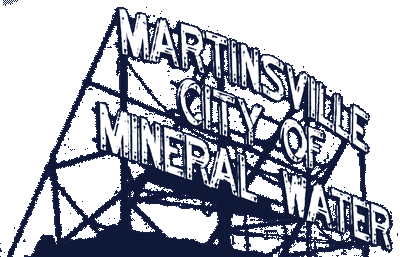 A regular meeting of the Martinsville Redevelopment Commission (RDC) met at 7:30 am on Wednesday, Aug. 8, 2018 in the Council Chambers at Martinsville City Hall. Commission members Dair Grant (Vice President), Chip Keller, Tana Lobb, Alan Myers, Michelle Baugh were in attendance. President Greg McKelfresh was absent. Also in attendance: Josh Messmer (Martinsville Engineer,) Craig DeMott (Martinsville Director of Public Works,) Mike Dillenger (Morgan County Economic Development Director,) Lance Gideon (Reporter-Times). The minutes for the July 11, 2018 regular meeting was discussed. Motion to approve minutes was made by Tana Lobb. Seconded by Chip Keller. Motion approved. Street signs were discussed and Josh gave a proposal from Odle McGuire Shook to provide design service for signs for Martinsville’s city-owned parking spaces. The proposal was $5,000 for design work and construction. Al Myers made motion to approve. Chip Keller seconded motion approved. RDC approved Banning Engineering to provide GIS Field Mapping Services for city. Not to exceed $60,000. Banning would provide field mapping for stormwater and also mapping city’s sanitary sewer system. Chip Keller made motion to approve and Al Myers seconded. Motion carried. I-69 utility expansion plan that will go under I-69 for future development was approved. Cost estimated at $22,000. Al Myers made motion to approve and Tana Lobb seconded.